When I think of a great meal now, I think of grilled vegetables, fresh proteins with lots of flavor and something that leaves me feeling light and satisfied. When I was fifteen, a great meal was cheesy, creamy, and filled with pasta. When you are entertaining for twenty-four teenage girls, save yourself a lot of trouble and make this dish. You will save yourself a lot of headache, and they will love it. 1. Preheat oven to 350 degrees. Cook pasta according to package and keep warm. Lightly spray a 9x13-inch baking dish with nonstick spray. 2. In large skillet, heat olive oil over medium-high heat. Add onion and garlic and cook 3 minutes, or until tender. Stir in chicken, tomatoes and cream. Bring to a boil over medium-high heat, let boil for about 3 minutes. Reduce heat, and simmer until sauce is slightly thickened. 3. Add cream cheese and 1 cup mozzarella cheese. Cook while stirring constantly until cheeses are melted. Add pasta, tossing gently to coat. 4. 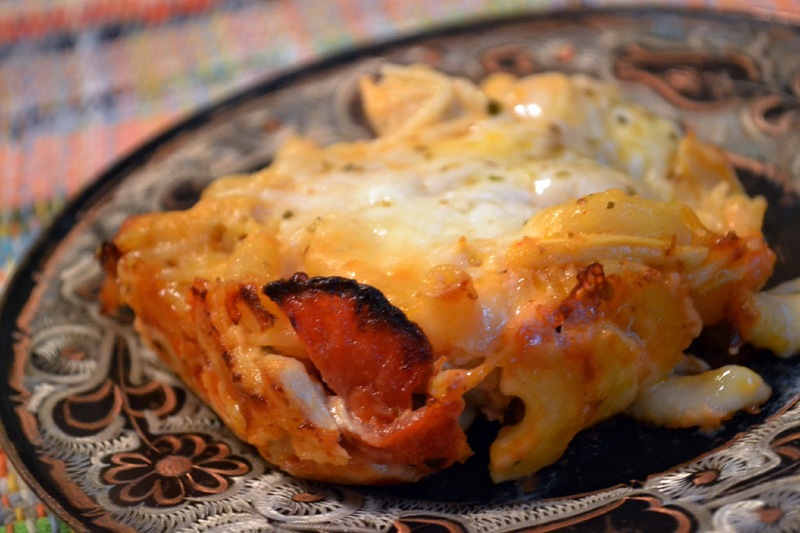 Spoon entire pan into prepared baking dish and top with remaining cheese. Sprinkle with oregano and bake for 30 minutes. Oh, yeah, this looks good to me!!! 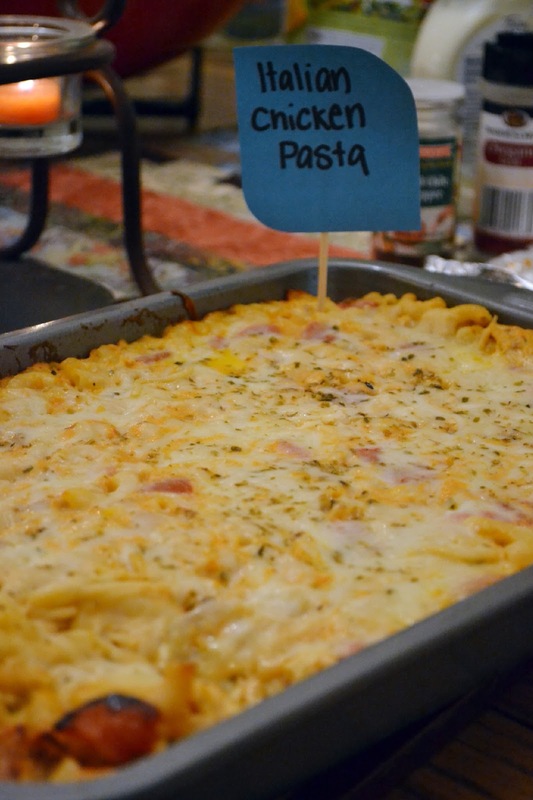 You don't have to be a teen to crave gooey, cheesy pasta....mmmmmm. this looks delicious! 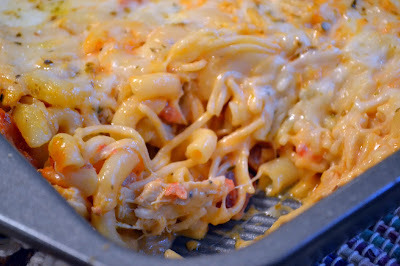 I am typically with you on the type of meals I like, but every once in awhile I love some cheesy comfort foot like this! Comfort food! Comfort food! Comfort food! Can you feel the happy dance??? Oh, look at all those wonderful ingredients...and 4 cloves of garlic. I'm in heaven. Thanks for sharing this. 24 teenagers can't be wrong! I will not tell a lie... This is the 1st time I've really taken some time to browse through this my dear Messie (can I get a pat on the back for the name seeing as though you're in my cell phone as Messie?! ), and needless to say, as with everything you do, I'm impressed... And I'm hungry. Keep blogging, and cooking, and maybe send me a care package or two huh?? Also, I had to sign up for blogger to post these comments. That's how much I <3 you. My boyfriend came across this the other day--finally made it for us tonight. Delicious! Next time I'm going to try adding some spinach and 'shrooms to it!